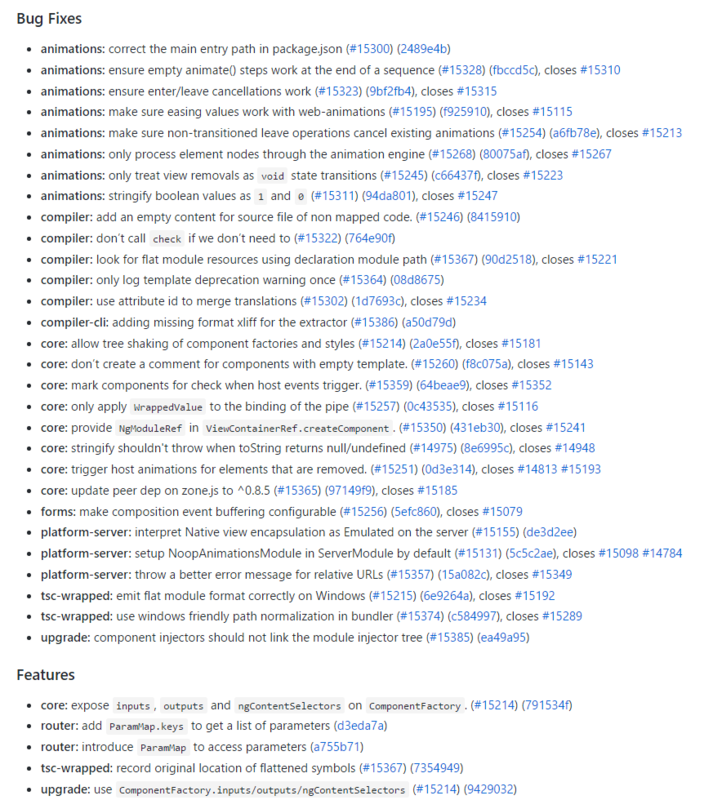 Angular 4 Release Candidate 6 has just been released today (23 March 2017). The list of features and bugs fixed can be seen in the changelog, but the most important fixes are in the areas of the animations and small fixes to the compiler. No significant or backward incompatible changes are introduces compared to Angular 4.0.0-rc.5.